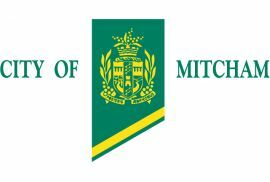 Several folk have asked my why I’m standing in the current election for Mitcham Council here in South Australia. It’s actually a supplementary election for The Park Ward due to the passing Cr Colin Cambell last year. I’m up against five other candidates, three of whom are current or very recent members of major political parties – a rare thing in SA local government. 1. It’s a way of being significantly involved in my local community. Local government brings you into contact with hundreds of fellow residents and the real practical issues for our community. It’s a significant way of serving and belonging to the neighbourhood, rather than just residing. 2. I enjoy the governance process. While some find this tedious, I actually enjoy the strategic process of future planning, thinking through principles, values and policy to oversee the nurture of a healthy community. – In September, a State Government bushfire report called our area “a disaster waiting to happen.” And the current Council voted down calls to respond. 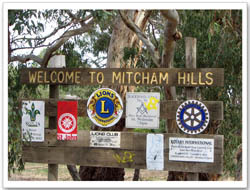 We need a specific strategy on bushfire prevention for the Mitcham Hills. – The current Council has continued to vote down funding for improvements in the Blackwood area, including Community Gardens, and the Blackwood Activity Centre. We need a new Blackwood Masterplan, and a more equitable amount of funding for the hills area generally. These are real issues for our area. I’ve thoroughly enjoyed the campaigning, meeting loads of people and hearing their concerns, stories and perspectives. The postal ballots have now been sent, and so on 29th January we’ll know the result. I may be elected, I may not. I’m certainly being outspent, but there’s no sophisticated track polling at this level! But the process of standing allows issues to be raised and ensures a democratic choice of a greater variety of people. So, if you do know anyone living in Blackwood, Belair, Glenalta, or Hawthorndene – remind them to Vote 1 Tim Hein and get that ballot posted!